The Wachau is a stretch of the Danube located between Melk and Krems, which demonstrates high visual and landscape qualities. It showcases many intact and visible traces of its continuous, organic evolution since prehistoric times, be it in terms of architecture (monasteries, castles, ruins), urban design (towns and villages), or agricultural use (mainly for the cultivation of vines and apricot trees). The clearing of the natural forest by local peoples began in the Neolithic period, although radical changes in the landscape did not take place until around 800, when the Bavarian and Salzburg monasteries began to cultivate the slopes of the Wachau, creating the present-day landscape pattern of vine terraces. In the centuries that followed, the acreage under cultivation fluctuated, under the influence of changes in climate and the wine market, acute labour shortages followed by wage increases in the 17th century. In the 18th century, hillside viticulture was actively promoted in ecologically optimal regions. The other areas were turned into pastures, which bore economic consequences such as the closing of some enterprises and the growth of others. It was at this time that viticulture was finally abandoned in the upper stretches of the Wachau, and the development of the countryside in the 19th century had particularly far-reaching consequences for the Wachau. The ratio of acreages used for viticulture or as orchards, which continues to be closely linked with fluctuations in the market for both kinds of products, lends the Wachau its characteristic appearance. The basic layouts of Wachau towns date back to the 11th and 12th centuries. The development of the settlements with their homogeneous character becomes evident in the town structures, both in the fabric and arrangement of the houses on mostly irregular lots and in the street patterns, which have remained practically unchanged since the late Middle Ages. Some town centres have been somewhat extended on their outer fringes by the construction of small residential buildings, mostly from 1950 onwards. The buildings in Wachau towns date from more recent periods than the street plans. In the 15th and 16th centuries, stone construction began to replace the wooden peasant and burgher houses. The winegrowers' farmsteads, which are oblong and either U-shaped, L-shaped, or consisting of two parallel buildings, date back to the late Middle Ages and the 16th-17th centuries. Most of these feature lateral gate walls or integrated vaulted passages, service buildings and smooth facades, which for the most part were altered from the 18th and 19th centuries onwards. Street fronts are often accentuated by late- and post-medieval oriels on sturdy brackets, statues in niches, wall paintings and sgraffito work, remnants of paintings or rich Baroque facades. The steeply pitched, towering hipped roof occurs so frequently that it can be regarded as an architectural characteristic of the Wachau house. Many 18th-century buildings such as taverns or inns, stations for changing draught horses, boat operators' and toll houses, mills, smithies, or salt storehouses, frequently dating back to the 15th and 16th centuries, still serve trade and craft purposes and are partly integrated in the town structure. A number of castles dominate the towns and the Danube valley, and many architecturally and artistically significant ecclesiastical buildings dominate both the townscapes and landscapes. Criterion (ii): The Wachau is an outstanding example of a riverine landscape bordered by mountains in which material evidence of its long historical evolution has survived to a remarkable degree. Criterion (iv): The architecture, the human settlements, and the agricultural use of the land in the Wachau vividly illustrate a basically medieval landscape which has evolved organically and harmoniously over time. The inscribed property has an area of 18,387 ha, with a buffer zone of 2,942 ha. The Wachau is a cultural landscape featuring a harmonious interrelation between water, natural and close-to-natural areas, wine terraces, forests, and human settlements, linked by the freely flowing Danube. The abbeys of Melk and of Göttweig, with outstanding monumental features as well as a number of historic towns and villages, exhibit significant material evidence of history and evolution over time. The Wachau cultural landscape has retained to a remarkable degree material evidence of its historical evolution over more than two millennia. The landscape has evolved in response to social and economic forces over several thousand years, and each stage in its evolution has left its mark on the landscape, which is abundantly visible in the present-day landscape. For a variety of economic, political, and environmental reasons, there have been few radical interventions over time, even in the later decades of the 20th century, which would have obliterated or distorted evidence of the organic growth of the Wachau. Since the mid-20th century, protective measures have been progressively introduced and their sustained implementation will ensure the conservation and protection of the property in the future. The authenticity of the Wachau is high. It showcases the fundamental elements of a living cultural landscape inasmuch as it retains an active social role in contemporary society, closely associated with the traditional way of life and its continuous evolutionary process. The property provides significant material evidence of its evolution over time. These qualities are manifested in the agricultural and forest landscape, in the layouts of towns, and in the conservation and authenticity of individual monuments. Similarly, the people of the Wachau conserve and carefully develop the fundamental elements of a living cultural landscape. The protection of the property has been of national and regional interest since the late 19th century. Thus, there are a number of overlapping laws and regulations implemented by a number of bodies at Federal, State, and Municipal levels, which contribute to its protection and conservation. These include, among others, the 1923 Austrian Monument Protection Act and its many amendments, which focuses on outstanding historic monuments and grants protection to the fabric as well as the appearance; the 1959 Act on Water Law and its amendments, and federal regulations and international agreements such as the European Diploma of Protected Areas by the Council of Europe. A number of provincial laws and regulations are also in force, such as the status of the Wachau as a protected landscape area. Additional protective measures regarding conservation areas as well as the inscription of the Wachau into the Natura 2000 network influence its conservation. These regulations are considered a solid basis for the future conservation and sustainable development of the property. Different levels of governance are therefore responsible for the conservation and sustainable development of the property. The Bundesdenkmalamt (Federal Office of Historic Monuments) maintains a complete inventory of historic monuments and ensembles situated in the Wachau. For the protected areas (nature conservation areas, natural reserves, natural monuments, landscape protection area), the responsibility for overall management rests with the Amt der niederösterreichischen Landesregierung (Office of the Lower Austrian Provincial Government). This body also has the overall responsibility for the European Diploma Area. The provincial government is also in charge of general development outlines, such as settlement development limits, and supports the local authorities in implementing local and regional strategies through expertise and public funding. At local level, the Wachau is mainly managed by the 13 communities (Gemeinden).They are in charge of local development plans, zoning and building regulations. Together, they run a regional development association called “Arbeitskreis Wachau” (Working Group for the Wachau). 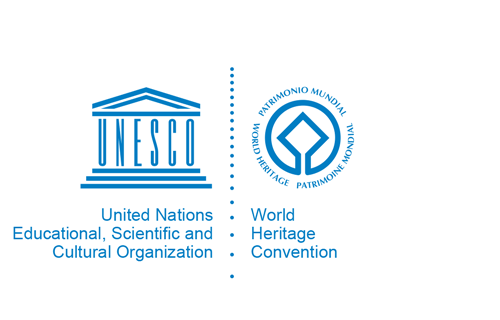 This body currently has an office in Spitz and employs experts in charge of projects connected to the conservation and sustainable development of the Cultural Landscape. The management is financed by European programmes and by the province of Lower Austria. It is based on a mission and a number of strategic and operative plans and programmes, mainly focusing on nature protection, wine and fruit growing, tourism, culture, regional development, the regional Nature Park, energy efficiency, education, and communication. When finalised and agreed, a comprehensive Management Plan will be an essential tool to deal with regional voluntary activities, and encompass all aspects of the management of the property that are dealt with by institutions at federal, provincial, and local levels.